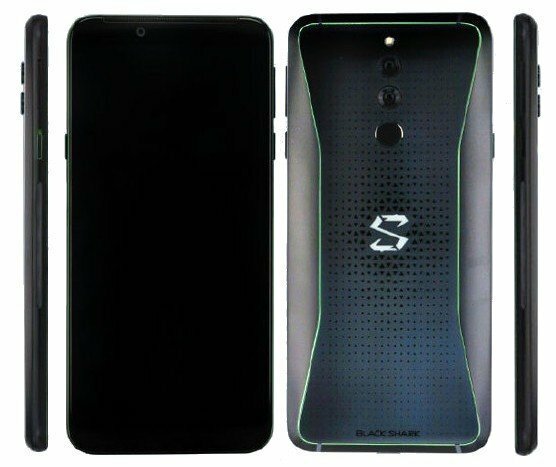 Black Shark gaming smartphone introduced in China back in April this year, is about to be refreshed in the Xiaomi Black Shark 2 moniker. An all new Black Shark smartphone with the model number AWM-A0 has been certified by TENAA in China. The new comer packs slightly different design compared to the predecessor. From the outward, the black Shark 2 will come with a slimmer built profile compared to the predecessor. It also has a repositioned dual rear cameras arranged vertically and the fingerprint sensor that was present on the front has been moved to the back. You can also see the camera bump and the dedicated One-touch SHARK key on the left. This reveals a 5.99-inch display, so the company could retain the FHD+ display and it has a 4000mAh battery, same as the predecessor. The dimensions of the phone is 160 × 75.26 × 8.7mm, which is almost same, but this is slightly thinner. The certification site doesn’t reveal any other specifications, but it will likely retain the Snapdragon 845 SoC with up to 8GB RAM, liquid cooling system and more. We should know the complete specifications of the smartphone in the coming weeks.